Soup is often thought of as a comforting winter meal, but it makes a delicious light summertime meal when served chilled. 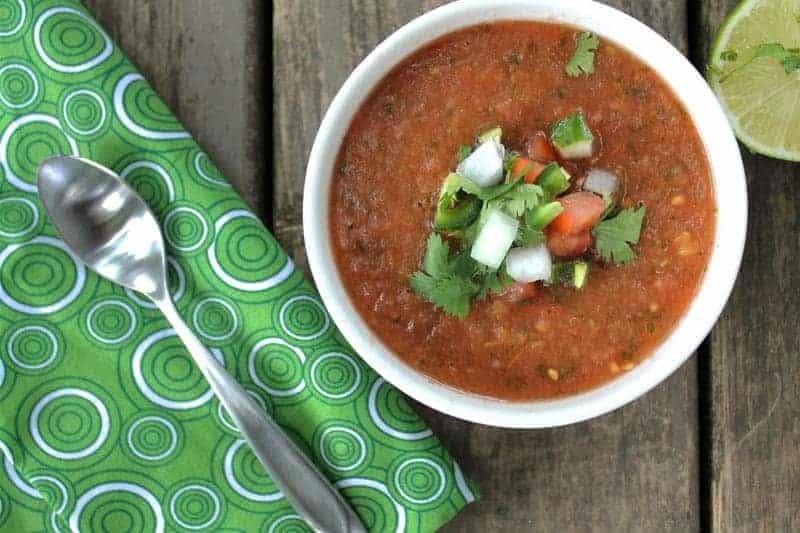 This tomato-based gazpacho is made with plenty of fresh lime juice, spicy jalapeños, and cooling cucumber for a refreshing summer soup. 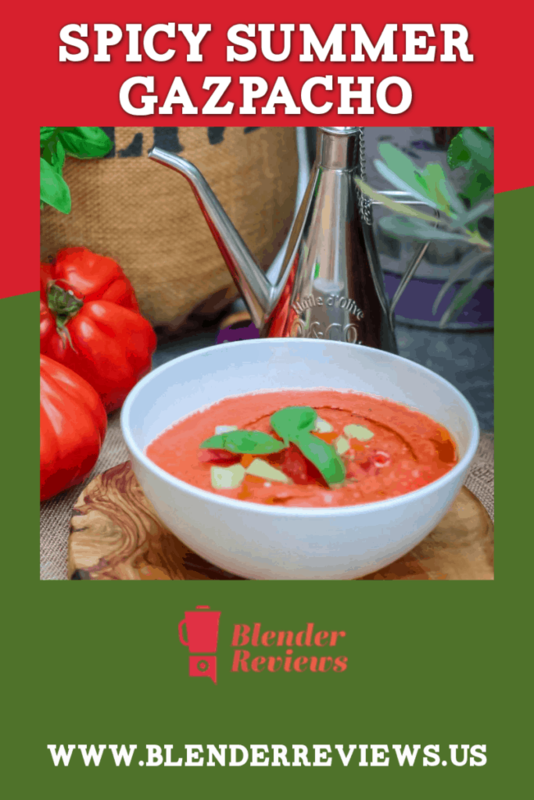 With no cooking involved, you are able to prepare it in minutes and store it in the refrigerator for a healthy appetizer or light meal anytime. Use home grown, summertime tomatoes straight from your garden for the most flavorful results. The consistency is also a lot thinner since there’s 4 cups of vegetable stock or water in there.